To celebrate the opening of the Hotel de la Ville atop the Spanish Steps in Rome, the Rocco Forte hotel is offering perks exclusively to guests who book through Virtuoso by March 1. The 18th-century palazzo will feature 104 elegant rooms and suites designed by Tommaso Ziffer along with Olga Polizzi. Bold colors, lively patterns and eclectic furnishings by local artisans will define the eye-catching design. Rooms start from a comfortable 270 square feet and offer wooden floors, marble bathrooms and stunning views over via Sistina and the rooftops of the Eternal City. 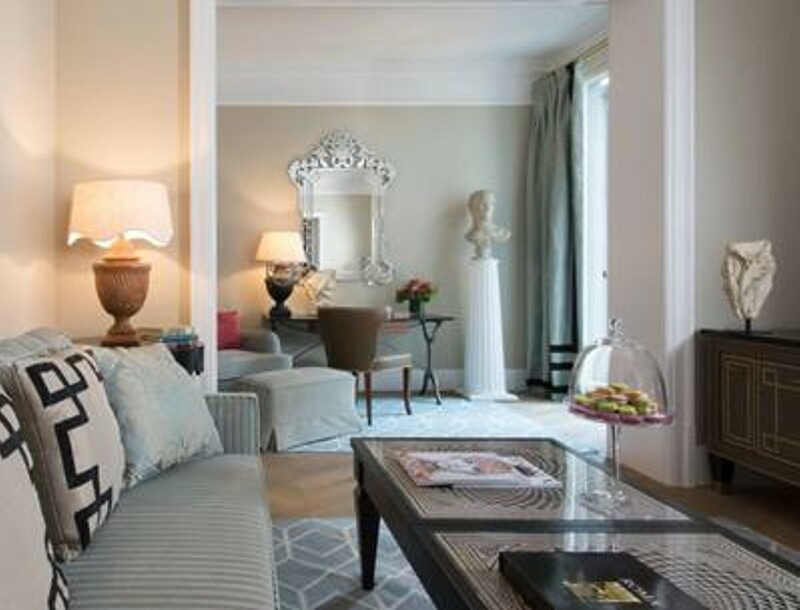 The 15 suites include two Signature Suites and a Presidential Suite that is arguably the most exceptional suite in Rome, featuring a kitchen, studio and two panoramic terraces. Helmed by the Director of Food, Chef Fulvio Pierangelini, and overseen by Lydia Forte, Food and Beverage Director for Rocco Forte Hotels, three exciting restaurants and three playful cocktail bars will make Hotel de la Ville the gathering place for the bright and beautiful. The Lobby Lounge & Bistro will serve authentic yet modern cuisine showcasing fresh produce alongside local biodynamic wines. The main restaurant will offer sophisticated elegance with a Mediterranean-inspired menu and views over the hotel courtyard. The rooftop bar with spectacular 360-degree vistas of Rome will feature imaginative cocktails. The hotel’s spa and wellness facilities will include a 24-hour gym with Technogym equipment, a hydro pool, plunge pool, Kneipp footbaths, ice showers, salt inhalation room, steam room and sauna. Extending over two floors, the spa will cover almost 6,000 square feet, with revitalizing therapies offered in six treatment rooms, including a double room. Hotel de la Ville is the latest upscale property to launch with support from the esteemed Virtuoso Preview program, which offers benefits solely for clients of network travel advisors. Preview is part of Virtuoso’s industry-leading Hotels & Resorts Program, with more than 1,300 superlative properties in over 100 countries. These complimentary benefits at Hotel de la Ville are available exclusively through a Virtuoso travel advisor, either by booking directly with one or via www.virtuoso.com. There they will be matched with an advisor to service the reservation and other aspects of the trip. To find an advisor, visit https://www.virtuoso.com/advisors#. Established by Sir Rocco Forte and sister, Olga Polizzi in 1996, Rocco Forte Hotels is a collection of 11 individual hotels and resorts. 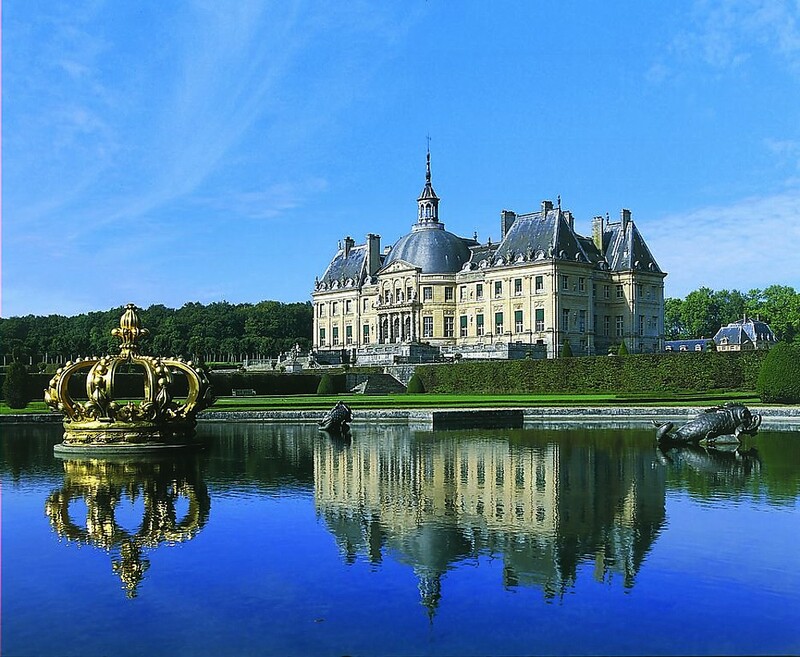 All of the hotels are landmarks, both old and new, occupying magnificent buildings in exceptional locations. Led by a family who has been in hospitality for four generations, the hotels are united by their distinctive approach to service ensuring guests experience the best of the cities and surrounding areas. Rocco Forte Hotels comprises: Hotel de Russie, Rome; Hotel Savoy, Florence; Verdura Resort, Sicily; The Balmoral, Edinburgh; Brown’s Hotel, London; The Charles Hotel, Munich; Villa Kennedy, Frankfurt; Hotel de Rome, Berlin; Hotel Amigo, Brussels; Hotel Astoria, St Petersburg; Assila Hotel, Jeddah. Luxury Gold is inviting travelers to celebrate Valentine’s Day with the meaningful gift of travel and journeys beyond the ordinary by presenting its expanded 2019 Chairman’s Collection of VIP travel experiences personally curated by The Travel Corporation (TTC)’s Chairman Stanley Tollman. 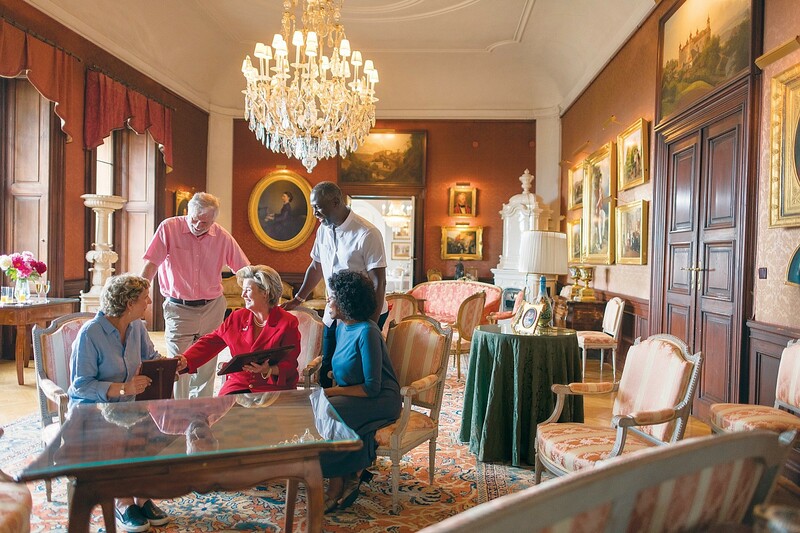 The collection offers travelers once-in-a-lifetime opportunities to meet the world’s Legendary Locals such as Princess Anita von Hohenberg at her Artstetten castle and Count Francesco Mazzei at his Tuscan estate. Guests will be transported into an elite world of regal lunches, noble dinners and cocktails with aristocracy and they will also meet other exceptional local characters. Wine lovers and guests can join the 12-day Ultimate Italy journey on the May 19th and May 22nd departures to meet Count Francesco Mazzei whose family has perfected the art of winemaking for over 24 generations. For the past 600 years, the Mazzei family has been pioneers and champions of Chianti wines since the very beginning. 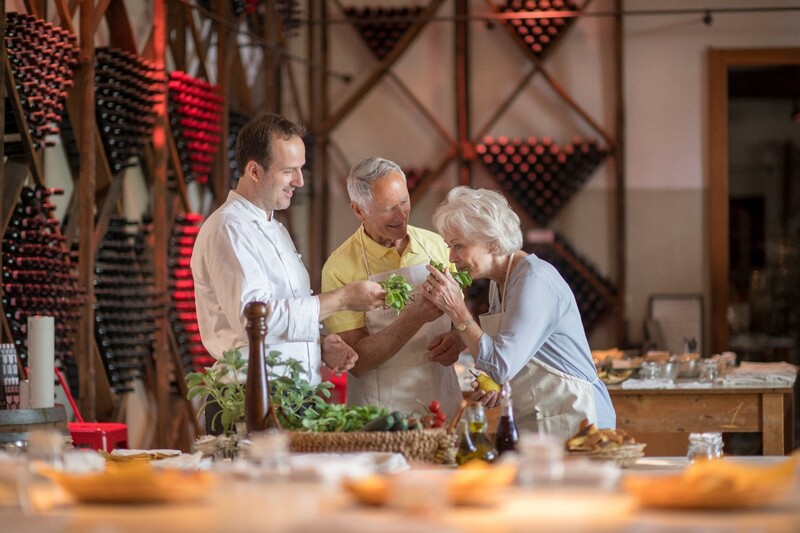 Travelers will meet a member of the Mazzei family at their vineyard estate, Castello di Fonterutoli for a private tour, including a delicious Tuscan lunch using fresh seasonal ingredients and wine tasting. 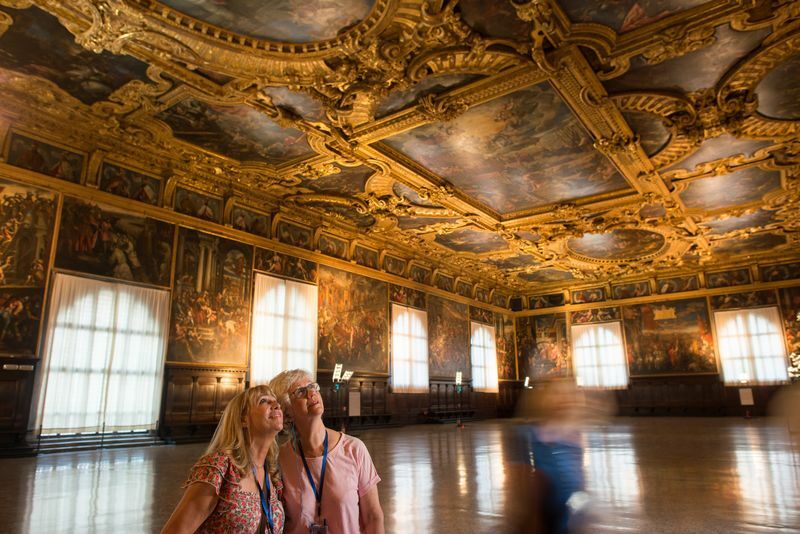 Austria History buffs and travelers can join the 13-day Harmony of Central Europe luxury journey on the May 14th and May 20th 2019 departures to meet Princess Anita. She is a proud descendant of the Habsburgs which includes prominent historical figures such as Empress Maria Theresa and Archduke Franz Ferdinand. Guests will join the princess for a private sparkling wine reception and hear personal stories about her family heritage. Gardening lovers and guests can book the 9 or 10-day British Royale escorted journey on the April 19th and August 9th, 2019 departures. The Duchess takes immense pride in her family home, the majestic 11th century Alnwick Castle which is considered one of Britain’s most iconic castles and was featured in the Harry Potter film series. Thanks to her visionary planning, fundraising and care, the adjoining castle gardens have been meticulously restored beyond their former grandeur. While over 800,000 people visit each year, only Luxury Gold guests will join Lady Percy for a private tour of her award-winning gardens. 4. Indulge in a Memorable Dinner with Count Remy de Scitivaux at Paris’ Oldest Restaurant Francophiles and travelers can join Count Remy at the legendary Le Procope, Paris’ oldest restaurant in continuous operation since 1686 on the 10-day French Vogue journey on May 11th and September 14th, 2019 departures. Count Remy will recount stories of Paris’ greatest intellects and artists who frequented this restaurant. Guests will enjoy an exceptional dining experience located in the equally iconic Saint-Germain-des-Prés district and sample the famous coq au vin and homemade millefeuille. Sports fans and guests can join an exclusive reception to meet Canadian Olympic athlete, Rob Boyd in the scenic mountain village of Whistler while exchanging insightful stories and sampling local wine on the 22-day Majesty of the Rockies journey on June 2nd, July 14th and August 11th, 2019 departures. Music aficionados who adore jazz, blues, rock and country music can join the lively 14-day Sumptuous Soul of America journey, departing on the May 12th and September 8th, 2019. Guests will meet Charlie McCoy who performed with musical legends, Elvis Presley and Johnny Cash and will recount his epic stories over locally distilled bourbon. Foodies and guests can meet Cultural Ambassador, Kainoa Hocajo and enjoy an exclusive celebration dinner created by world famous chef, Michael Lofaro on the 12-day Luxurious Hawaiian Escape journey, on the April 7th and September 15th, 2019 departures. Kainoa is an emerging leader in the field of cultural tourism and will share impactful stories about his native Hawaiian values and culture. He has studied under the guidance of highly respected kupuna (elders) and to help honour the traditions of his ancestors. Travelers can view the complete Chairman’s Collection experiences: https://www.luxurygoldvacations.com/us/vacation-types/the-chairmans-collection. New Zealand in Depth is introducing a wine-centric travel program which recognizes winners of the Air New Zealand 2016 Wine Awards with a “pairing” of gourmet, local food experiences. 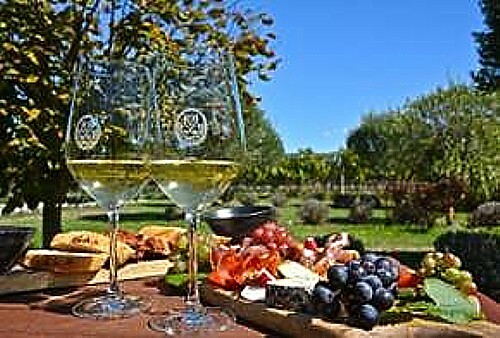 Auckland, New Zealand – New Zealand travel experts New Zealand In Depth announce a wine-centric travel program which recognizes winners of the Air New Zealand 2016 Wine Awards with a “pairing” of gourmet, local food experiences. The personalized 13-day New Zealand Food and Wine Tour visits New Zealand’s three main wine regions, Hawkes Bay on the North Island with its award-winning Chardonnay and full-bodied Syrah, Cabernet and Merlot; Marlborough on the top of the South Island, acclaimed for Sauvignon Blanc and aromatic whites; and the Central Otago, the world’s most southerly wine-growing region and home to some of the world’s best Pinot Noir. Accommodations include lodges and inns, selected for their personalized service, outstanding location, and gourmet offerings. Travel is by ferry, plane and car, starting in Auckland on the North Island and ending in Queenstown on the South Island. Additional activities such as hiking, cycling, and gourmet sailing excursions are available. The program is fully customizable to reflect travelers’ activity, wine and dining preferences. To help you decide, New Zealand In Depth offers a quick overview of the country’s wines here. Travel can be arranged from September 2017 to June 2018. For more information, program detail, and advice on travel to New Zealand in general, visit http://www.newzealand-indepth.co.uk, call +44 1298 74040 or email explore@newzealand-indepth.co.uk. Now entering its 14th year, New Zealand In Depth is a team of travel experts who are passionate about creating personalized luxury experiences for clients looking for a distinctive and exclusive vacation in the land of the Kiwis. With nearly 50 years of collective experience, the New Zealand IN Depth team develops programs that reflect a commitment to understanding client needs on a one-on-one basis. The company advocates for responsible tourism in New Zealand and works with people on the ground who genuinely care for their local environment and actively take steps to protect local habitats and native flora and fauna. Personalized programs reflect the long-term relationships held with local providers of activities, superior and unusual accommodations, and off-the-beaten-track experiences, allowing New Zealand In Depth to create itineraries with experiences that are often not available through other tour operators while being mindful of their impact on the environment. http://www.newzealand-indepth.co.uk/, +44 1298 74040 Twitter: @NZInDepth Facebook: NewZealandInDepth. 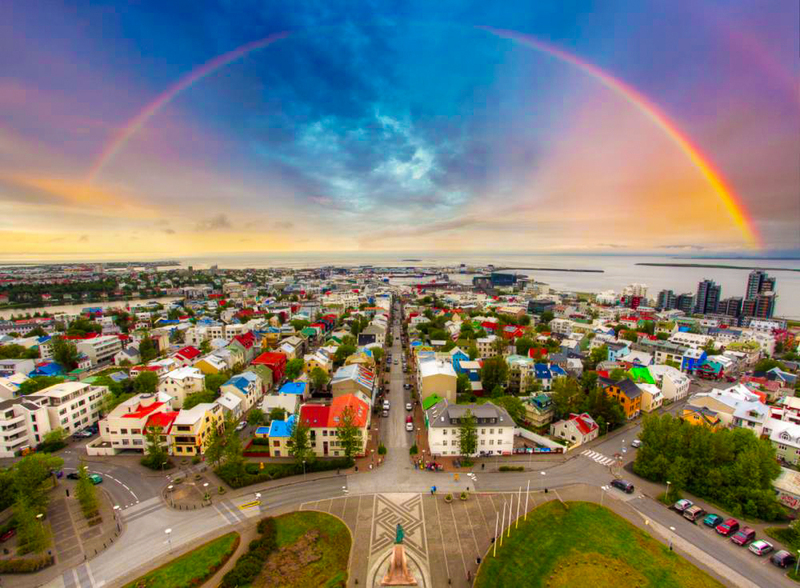 The ultimate festival experience is Reykjavík, Iceland’s Secret Solstice Festival, held over the summer solstice with almost round-the-clock sunlight. For the $1 million, you get a return flight in a private business jet from anywhere on the planet for you and five other guests, 24/7 access to two private luxury cars (including drivers and security) for a week in Iceland, two private concerts by prominent Icelandic musicians, helicopter transfers, complete access to the main Secret Solstice 2016 event, a private aerial tour of Iceland, access to the world’s first (and already sold out) concert inside the dormant magma chamber of a volcano, access to the world’s only party inside a glacier, private access to Iceland’s world-famous Blue Lagoon reserved for only your travel party, and so much more. The international music festival is already boasting some world-class names on their general bill, though there will be two performances that only the purchaser of this ultra-premium ticket will be able to attend. Part of the million-dollar ticket are two private performances during the buyer’s time in Iceland, by two different prominent Icelandic acts. Although both artist’s names are yet to be announced, one will entail an intimate show at the Reykjavík residence in which the guests will be staying, the other being a special show in the middle of an Icelandic lava field, of course with helicopter transfers to the location. Despite the extraordinary nature of the million dollar festival ticket Secret Solstice is offering, the event itself is already extremely special. Held over the summer solstice weekend in Iceland, the sun never fully sets over the entire event weekend, due to Iceland’s close proximity to the Arctic Circle. The incredible never-ending daylight has already resulted in the four-day event being called the most unique festival on Earth by several media outlets. Of course, more reasonably-priced tickets are on sale for people with more modest budgets, starting at 24,900 Icelandic krona (approx. £143/$202/€177) for a full festival pass, or 34,900 Icelandic krona (approx. £200/$283/€249) for a VIP pass to the entire event. Full details on the world’s most expensive festival ticket can be found at secretsolstice.is. Secret Solstice 3 Day Passes, VIP, Camping and special side event tickets are on sale now at secretsolstice.is, while supplies last!